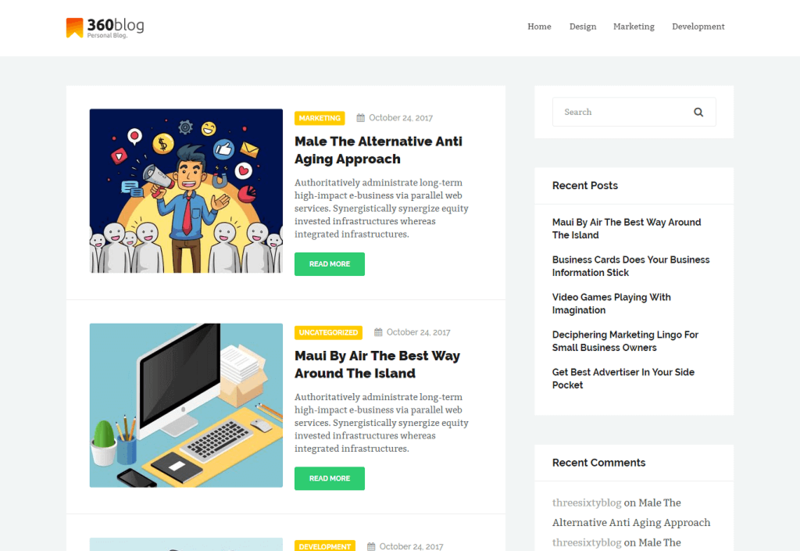 ThreeSixtyBlog Lite is a clean, modern and functional blog WordPress theme. This is an amazing WordPress theme which provides you solid features. This theme is clean, clutter free design is the perfect choice for the minimal loving creative blogger. So if you want to create a classic and modern blog layout then 360 Blog theme is perfect choice for you.